To diagnose spondylosis, your physician will review your health history and perform a physical examination. To confirm the diagnosis, your doctor will likely recommend diagnostic imaging such as an X-ray, MRI, or CT scan. How is spondylosis treated nonsurgically? In very rare cases, surgery may be beneficial. 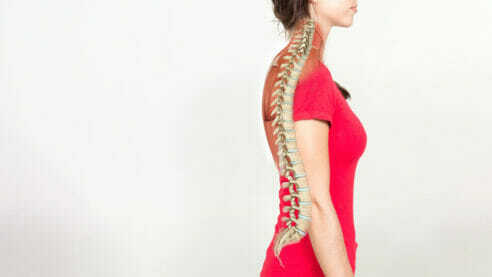 What can I do at home to help relieve the symptoms of spondylosis? In many cases, changing posture and using spinal injections can control the symptoms of spondylosis for a long period of time. Taking anti-inflammatory medicines may also help, especially ibuprofen products like Advil or Motrin.